Make reading a priority without all the work! In our June stories for kids and activity calendar you can read a great book for each special day and monthly theme along with fun, clever activities to go along. This month’s reading calendar is perfect for your summer bucket list. UPDATE: This month’s books have been triple checked to make sure they are at most public libraries! Each day below follows a June special day or topic. 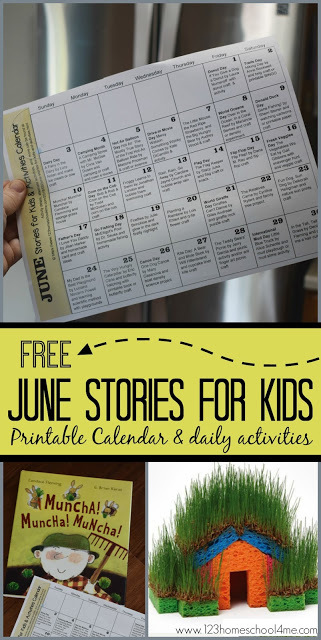 If you scroll to the bottom of the post you can download and print the free printable June stories for kids activity calendar. Then check out books from the library and take a peak at this post for fun, clever activities for families to do together! You’ll love this LOW PREP activity calendar! Read If you give a Dog a Donut and grab donuts from your favorite donuts shop for breakfast or make your own with this yummy homemade donut recipe. 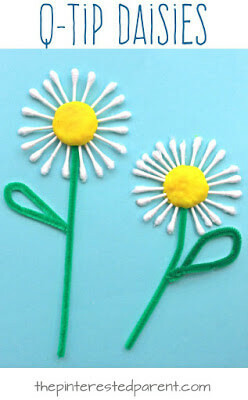 Then you can try a silly activity like eating a donut off of a string or make a fun donut craft like this easy one. Start off reading Do princesses wear hiking boots? and Hiking Day (sadly, not available at all libraries anymore) and then go hiking – it can be around your neighborhood, forest preserve, or a national park. If sadly it is raining in your neck of the woods today, try making a twig craft or use this free printable to play Hiking Bingo. Hint: If you live near Indiana, I highly suggest an outing to Fair Oaks Farm for a tour, lots of information, and a states of some amazing dairy products! Two of our favorite camping books are Curious George Goes Camping and A Camping Spree with Mr. Magee; I’d read them both! I highly suggest taking your kids camping – you can borrow a tent if you don’t own one (or rent a cabin). It is a fun activity your kids will remember forever – the smell of roaring campfire, the sounds of the forest, the sight of the stars filling the sky, the taste of smores, and the feeling of sleeping in a sleeping bag in a tent. Camping is cheap and so much fun! You can read our tips for camping with kids to get you started! If you aren’t feeling as adventurous, may I suggest a backyard camping trip or camping in your living room. Or for a very tame activity make this no-mess Campfire Craft and serve it with these easy oven s’mores. Kids will be fascinated as you read Hot Air: The (Mostly) True Story of the First Hot-Air Balloon Ride and Noon Balloon (not available at all libraries). Today would be a great day to sneak in some FUN science with either this Pop Rock Science Experiment or this more advanced Hot Air Balloon: Density Experiment. If you are looking for a more “cutesy” craft you’ll love these balloon bookmarks featuring your kids! Read Mercy Watson Something Wonky This Way Comes. Teach kids what a drive in movie theater is with this short video. If you are lucky enough to have one nearby, take in a movie together as a family tonight. If not, don’t worry you can make your own drive in theater at home. Inside or outside depending on your weather, you can project the movie onto a sheet or garage door. Kids can drive up in bikes or their Cozy Coupes to take in the show. Remember to provide popcorn! 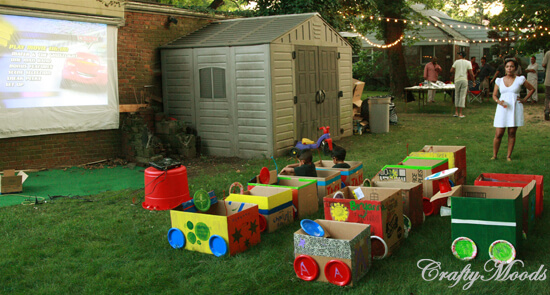 If you’ve got more time you can always have kids design their own car out of a cardboard box like this one! Nothings says June like fresh strawberries! Today you’ll read this wonderful book – The Little Mouse, the Red Ripe Strawberry, and the Big Hungry Bear or Strawberry Girl (classic) Ideas for today are: plant a strawberry plant (kids will be fascinated watching how they grow), eat fresh strawberries (with some whip cream on top!, and to make this adorable strawberry hand craft. One of my families favorite ocean book is Over in the Ocean: In a Coral Reef with it’s fun flow and rhyme. But if you are looking for some stunning photography with some basic information make sure you check out National Geographic Little Kids First Big Book of the Ocean. Kids will have fun matching colors with this Fruit Loop Octopus Craft, learning about the layers of the ocean with this Ocean Layers Density Science Experiment, or just print these simple Ocean Coloring Sheets. Kid will love making imprints of various fish and seashells in blue playdough! Donald Duck has been around since 1934; whether you love him or he drives you nuts – he is an icon every child knows. Read a summer themed Donald Duck book like Gone Fishing or anyone your local library has. 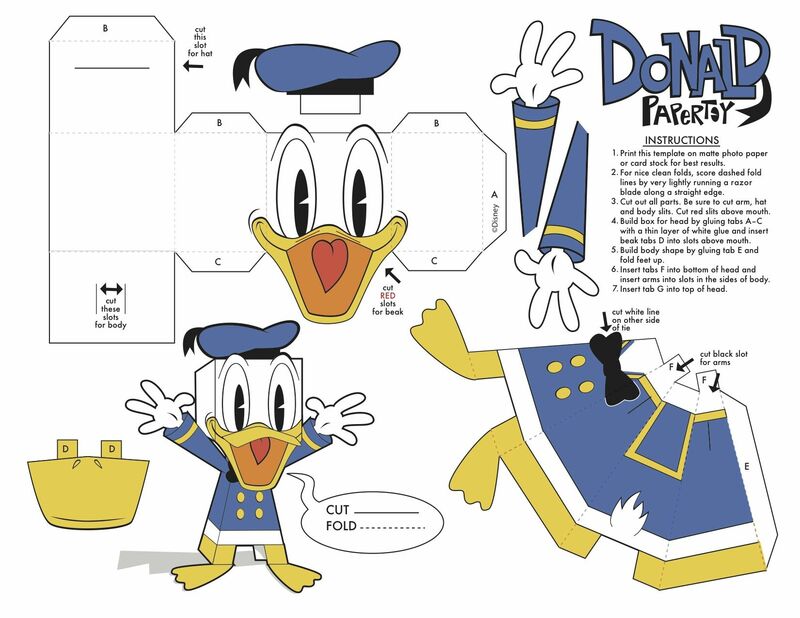 Depending on your weather, today may be a great day to pop some popcorn and watch Donald Duck cartoons or make this fun, free paper Donald Duck craft. Nothing says summer like planting, growing, and eating summer veggies! Start out today by reading Muncha! Muncha! Muncha! (one of our favorites!) and then plant some seeds. If you’ve got little kids consider planting radishes that are ready to be eaten in just a 3-4 weeks. For older kids, you may want to try other vegetables (green beans, cucumbers, peppers, tomatoes, carrots, spinach, and lettuce are all easy ones to try) or make a grass seed house that is sure to impress! To start off Corn on the Cob Day I suggest reading Corn on the Cob. I suggest you eat corn on the cob for dinner, but during the day you can either make this simple glue Cheerio Corn on the Cob craft, or this paint corn on the cob craft. Nothing says summer like swimming! Start off by reading this sweet story Froggy Learns to Swim. Ideally, you would go swimming at a pool, pond, beach, or backyard today, but if you are not able why not make some swimming artwork. 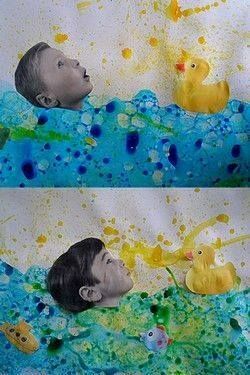 I suggest you make blue foam bubble art on the bottom half of the paper then paste a picture of your child and a rubber ducky on top of the bubbles like this. Summer is filled with warm sunny days, but sometimes we have a lovely summer shower! Not only does it cool things off and water the garden, but it makes for a fun day splashing in puddles or doing indoor projects! Today why not read Rain (seasons with Granddad), Rain, or Rain, Rain, Go Away (classic rhyme kids should know, this particular book not at all libraries). 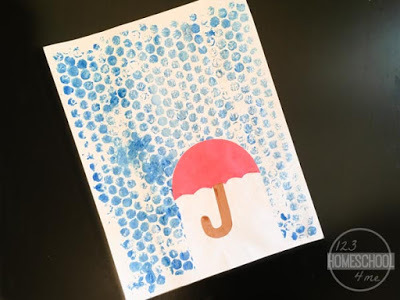 Kids will love making this clever bubble wrap rain craft or use rain to make art. Start off your flag day celebration by reading I Pledge allegiance or The Flag Keeper (charming drawings, not available at all libraries). Later on, kids will enjoy making this flag craft with pom poms or this flag craft with painters tape. And of course, don’t forget to make some yummy flag themed food like these flag pancakes or flag krispie treats. After reading The Vegetables We Eat and Every Color Soup it’s time to explore some vegetables.Why not start the day by having a scavenger hung in the grocery store (find one for each letter A-Z or how many yellow, etc.). 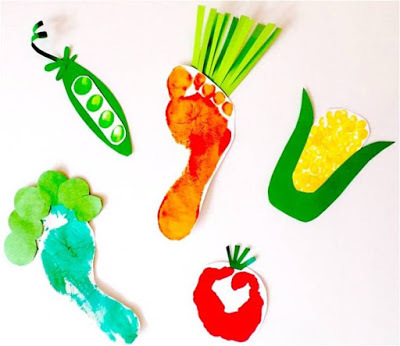 Then you can use the vegetables to make print art , vegetable foot / hand art, or cut and paste vegetable pictures from a magazine or ads to make vegetable soup craft. This is such a special day to help kids realize how important Dads are and to thank their Daddy for all he does and means to them. read I love you Daddy, I love my Daddy Because… (not at all libraries), and M Your Dad. Have the kids make a handmade Father’s Day cards and maybe one of these cute homemade Father’s Day crafts. Start out by reading McElligot’s Pool and then ideally, take your kids fishing. 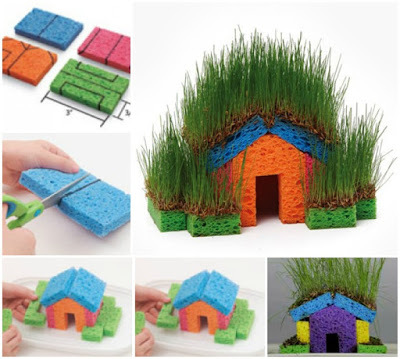 If that is out of your comfort zone you can go fishing at home with either straw fishing, diy magnetic fishing game, or pipe cleaner fishing game. One of my favorite things about summer is catching fireflies at night! Start your day by reading Ten Flashing Fireflies or Among a Thousand Fireflies (love the photographs) then make a bottle firefly craft or glow in the dark firefly nightlight, and finally make sure to get out a clean jar with holes in the lid and catch some fire flies. Flowers are a big part of summer. Read Planting a Rainbow or Flower are Calling then plant some flowers, visit a garden center, paint with flowers, or make a q-tip daisy craft. Start out World Giraffe Day by reading two classics Giraffes Can’t Dance and A Giraffe and a Half. Then it’s time to either head out to your local zoo or make a fun craft like this giraffe rock puzzle craft, an adorable giraffe finger puppet craft, or a giraffe hand art. Summer is a time to visit family! After reading The Relatives Came why not take time to look at old family pictures, make a family tree project,, or invite family over for a visit. Summer is a time of lots of sunshine! Today read Fun Dog, Sun Dog or Lemonade Sun: And Other Summer Poems and do some exploring with the sun. Pick the activity that sounds like the most fun to your family: lego sundial, fork painted sun craft, or make nature sun prints. Summer is a time to be outside, explore, and play! Read My Dad is the Best Playground or Playground day! and then go on an adventure today to find the best playground to play at. Take it to the next level by trying this playground experiment in the scientific method. Kids love watching butterflies! Today read The Very Hungry Caterpillar, A Butterfly is Patient, and . I highly suggest you hatch your own butterflies and lett kids observe the process (includes free printable). You can also make a pretty butterfly craft or visit a local butterfly garden. For National Canoe Day I suggest you read One Dog Canoe or Canoe Days. Then either take the kids out on a canoe to experience it for themselves, or learn about different boats and why they float with this fun simple science experiment. We love spending as much time as we can outside during the summer. On windy days, we love to fly kites! Read Kite Day: A Bear and Mole Book, then make this cute cupcake liner kite craft, and hopefully take some time to go fly a kite! Get ready to laugh out loud with today’s book – There Was an Old Lady Who Swallowed a Shell! or Norman the Slug with the Silly Shell. After you’ve read the book, make one of these pretty shell pendants (you can always buy shells inexpensively on amazon if you don’t live near a beach). 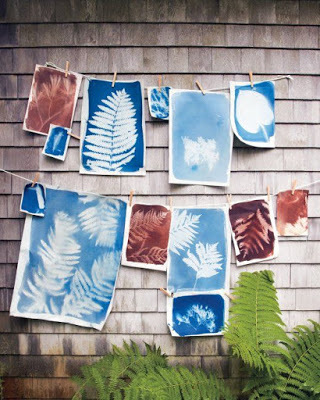 Paint leftover shells and play tic-tac-toe in the driveway or back yard. Celebrate International Mud Day by reading Little Blue Truck or Mud Puddle. 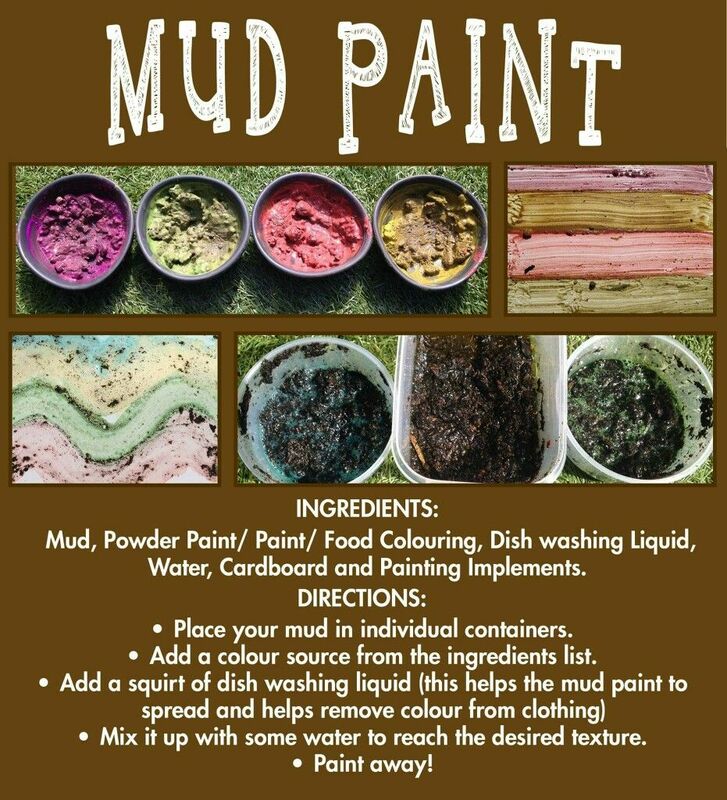 Next you can make some mud playdough, mud slime, or mud paint to have some fun playing today. Read In the In the Tall, Tall Grass to start a conversation about the quickly growing, beautiful green grass that grows during the summer. 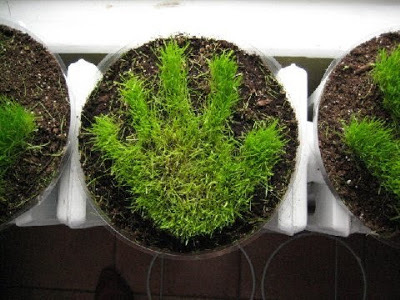 Grass grows quickly which makes it a lot of fun to make ones of these grass projects: grass hands or look at my hair grow!